This may not be an all-new version of the XK, but our spies suggest that some changes might be on tap for what's underhood, mostly in an effort to keep the coupe fresh for a few more years. We don't take issue with the current range of naturally aspirated or supercharged 5.0-liter direct-injected V8 engines - both engines are relatively new, after all - but some dynamic tweaks would indeed keep the XK at the front of our minds for years to come. 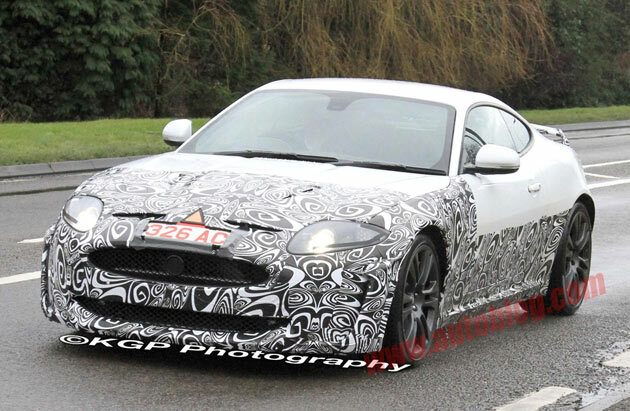 [source: KGP Photography]Spy Shots: Jaguar XK facelift spotted originally appeared on Autoblog on Thu, 13 Jan 2011 16:01:00 EST. Please see our terms for use of feeds.